Musician turned Humanright activist, Charles Oputa aka Charly Boy, has given his life to Christ. 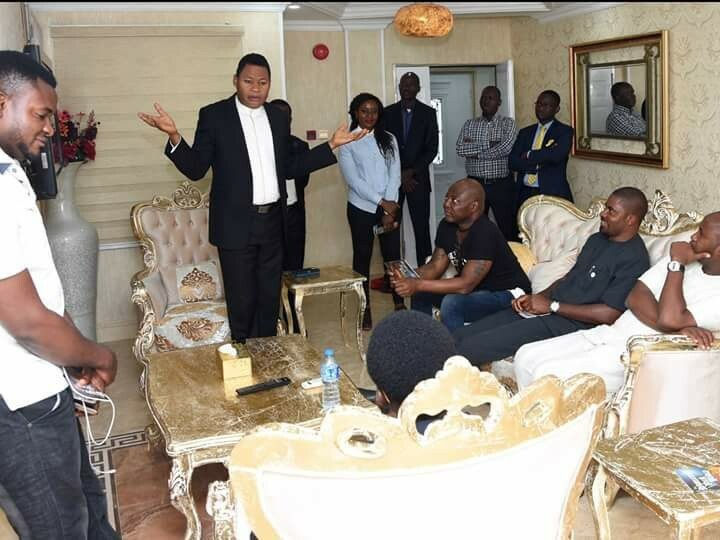 A post shared on Facebook by a group run by Christ Embassy, indicated that the singer gave his life to Christ when he visited a branch of the church in Abuja last Sunday February 25th. Read the report on the page below. 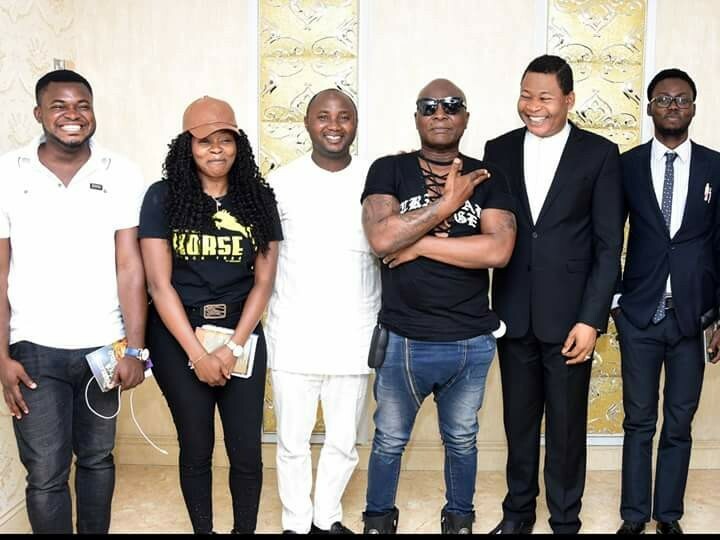 In a scenario which could only have been divinely orchestrated, the renowned unconventional musician, entertainer, social activist, and leader of the ‘Our mumu don do’ movement, Charly Boy, is gloriously led to Christ by the highly esteemed Regional Pastor, Christ Embassy Abuja, Reverend Tom Amenkhienan. 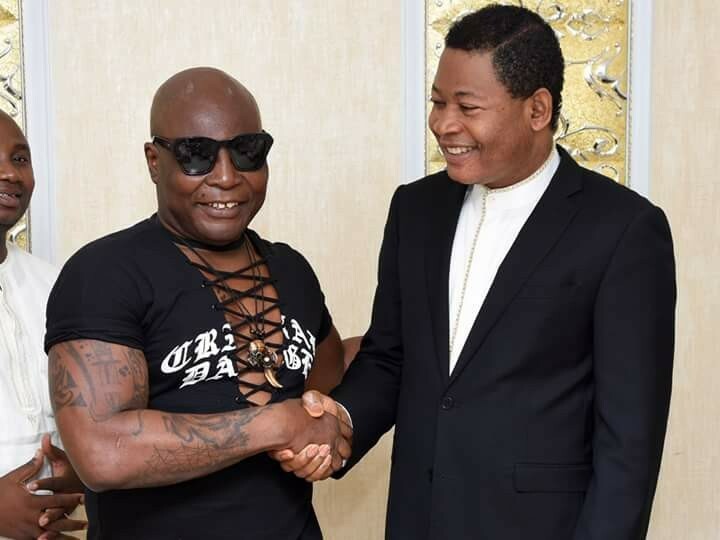 Having been invited to church several weeks earlier by a dear sister who met and engaged him on social media, Charly Boy promised that he will come to church. 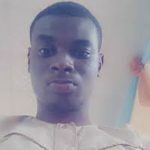 With persistent reminders and follow up, on Sunday, 25th February, he arrived Abuja from a journey and came straight to church from the airport with twelve members of his activist group. He returned for an exclusive meeting with Reverend Tom on Tuesday 27th February, in the company of some members of his group. Overwhelmed by the expression of Christ’s love, he appreciated our man of God, Reverend Dr. Chris Oyakhilome for his passion for Youth Development and Nation Building, as Reverend Tom highlighted the impact of the InnerCity Mission, Future Africa Leaders’ Foundation, Campus Ministry, Global Youth Leaders’ Forum and ReachOut Nigeria Campaign. As an activist, Charly Boy constantly demands social and political changes, and accountability in governance in Nigeria. He identifies with, and advocates for the rights of the youth and the ‘common man’ in his usual unconventional style. He is indeed deeply passionate about this cause and spoke of it with tears in his eyes, hence his joy when he discovered the passion of our man of God, Pastor Chris for the youth, and the lasting impact being made. It opened his eyes to new and more effective ways to channel his passion. Reverend Tom then ministered to him privately, and he gloriously accepted Christ and was born again. In his new found joy, he requested that Reverend Tom also prays for his group members. He beamed with smiles as Reverend Tom announced to them, ‘CHARLY BOY IS BORN AGAIN!’ The news was received with joy and excitement, and Reverend Tom also went ahead to lead members of his group to Christ. 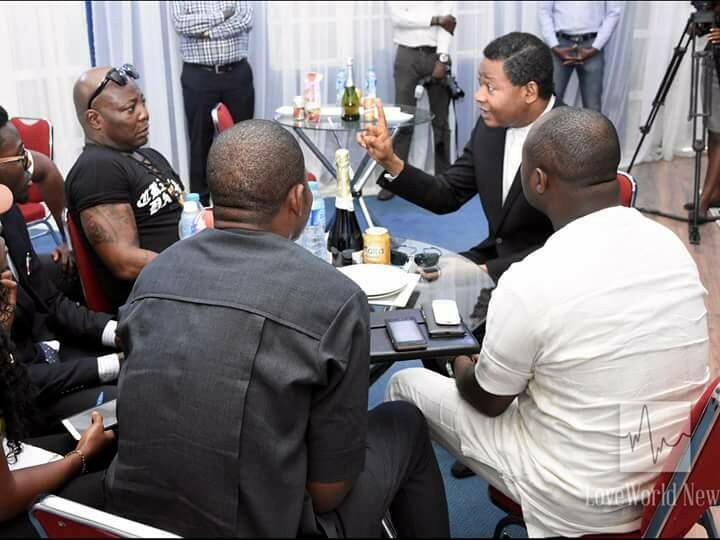 He also gave them our ministry materials, and presented Charly Boy with a LoveWorld Plus decoder for his home. What a glaring sign that our prayers have been answered! The Lord is doing great wonders in our midst. There is no limit to the length of the Master’s love…it can reach the farthest soul, even those perceived as ‘unreachable’. It is certainly the month of CHANGE! Glory to God! ?